On the road between San Jose and Monterey, CA, is a tiny town that has not changed much since stagecoach days. San Juan Bautista stands at the crossroads of California. From the back of the mission, one can see the original El Camino Real, little more than a dirt track where four stage lines used to bring travelers to more than ten hotels and seventeen saloons. Today, walking the charming main street of this town, one can easily imagine that this is a place that time has forgotten. 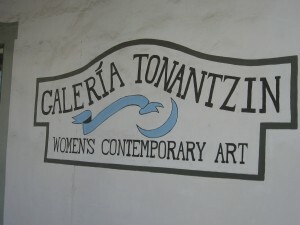 Yet in an 1850 adobe house, Galleria Tonantzin is dedicated to contemporary women’s art where one can see an evocative exhibit of sculptures and photographs of special figures called “A Journey of Mothers” by multi-media and multi-genre artist Dianne Tittle de Laet (through April 22, 2012). 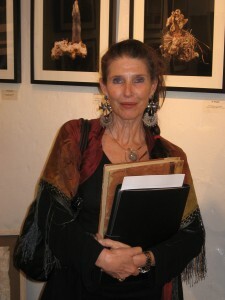 In addition to being a sculptress, Dianne is a also a poet, writer, praise-singer, harpist and performance artist. Amazingly receptive to the clues she finds in the universe and unique in her ability to transform these into beautiful artistic metaphors, she responds in a positive way to the world at large no matter how difficult or tragic the issue with which she is confronted. In her own singularly focused way, she sets the table, inviting all of her muses to dinner so they can mingle and inspire each other. 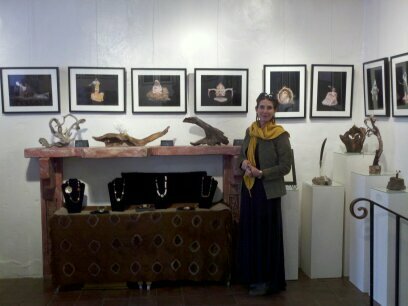 Dianne had noticed the gallery on Third Street in San Juan Bautista on many trips to the mission through the years. Founded by Jennifer Colby, who has long been involved with the Monterey Women’s Caucus for Art, the twenty-year-old gallery is the only woman-focused exhibit space on California’s Central Coast. 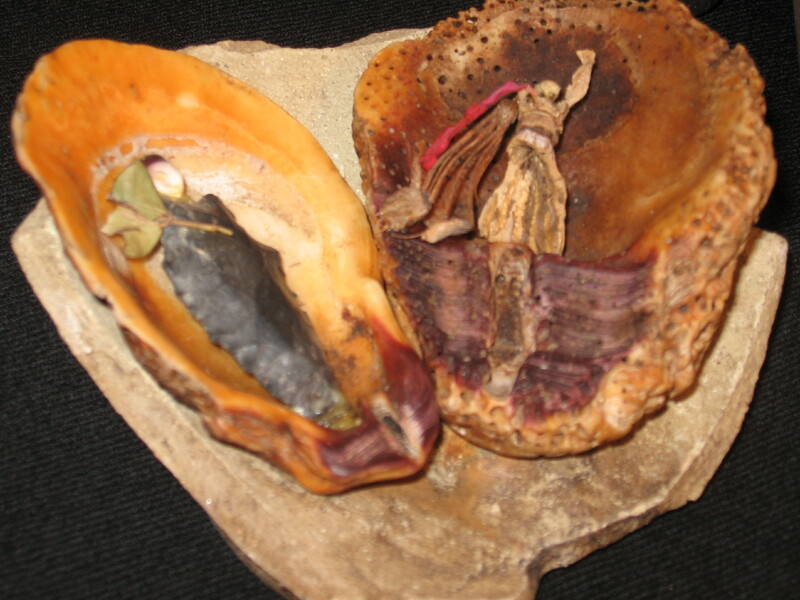 Dianne saw that the small adobe house dedicated to presenting women’s art would be a perfect place for an exhibit of the figures she has long been making from objects found in the natural world. On her many daily runs through varied landscapes throughout the world, she would see beautiful things that nature had left by the wayside. The figures she fashioned from driftwood, eucalyptus pod, bone, feather, stone and shell became the perfect complement for the books she was writing and the images of the poems that came to her while she was running. 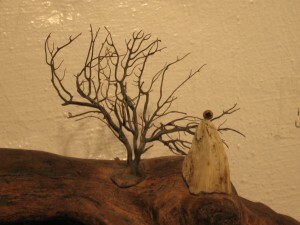 Often her figures are inspired by heroes and saints, both local and legendary, seen in churches or mythology books, and sometimes only in her dreams. “The Journey of Mothers” in particular was called into being by the heroic journey that all mothers take. For in giving birth they are compelled to protect their children as well as other innocents who find themselves in tragic circumstances through no fault of their own. The exhibit is a tribute in particular to Quatie Ross, wife of the Cherokee Chief on “The Trail of Tears” in 1838, who during the forced removal of the Cherokees gave away her only blanket on a freezing night to save a sick child and died of exposure during a blinding snowstorm. It is said that the child survived. Lieutenant John Burnett was present when Mrs. Ross died. He said in a story written on his 80th birthday that “The Anglo Saxon race should build a towering monument to commemorate her act of compassion. ” Inspired by the old soldier’s story, Dianne’s extended family of figures began to spring quite literally from the things she found that came from the earth. The tribe also grew by leaps and bounds through an invocation she made to the earth when marking the previously unmarked grave of her own Cherokee great-great maternal grandmother Madge Watts. She asked the earth to tell her a story. Soon we may all read her forthcoming real-life historical novel based on the lives of her Native American ancestors. 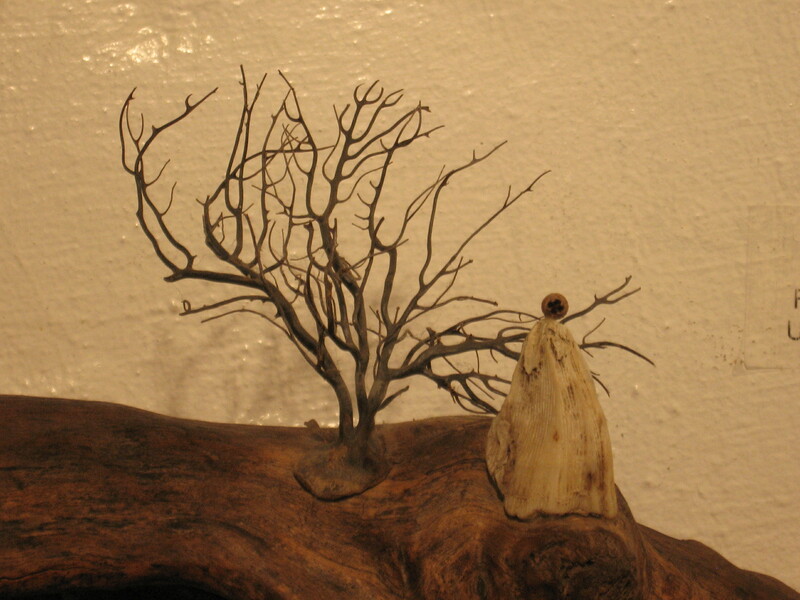 In the meantime we may glean an intimation of this story from her sculptural figures. On Saturday March 10, 2012, the night of the opening, a circle of her friends traveled to San Juan Bautista to commemorate this day when the assembled generations of her figures could be seen in one place for the first time. Poet Ryland Kelley from Palo Alto told the story of Lieutenant John Burnett. Father Martin of the Woodside Priory played Navajo music on his Native American flute. Dianne read from her “Song to the November Moon” in praise of a Native American hero of compassion. Although the organic sculptures are not for sale, beautiful photographs of the figures taken by Dianne’s husband, photographer Steve de Laet, can be purchased and all proceeds benefit the Arete Fund. Created with the proceeds from her literary memoir “Giants & Heroes: A Daughter’s Memories of YA Tittle,” the Arete Fund is a nonprofit organization that recognizes excellence of effort through educational scholarships and extends global good will through artistic and humanitarian programs. Sales of the photographs as well as over sixty necklaces made by the artist (that are now on display in the gallery) will further Arete’s mission by benefiting the Rahima Foundation, a nonprofit organization that assists refugees from war-torn countries living in the United States who need basic support for food and other living expenses. 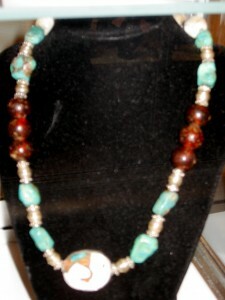 With the story of this woman in Afghanistan deeply in mind, I bought a necklace to help this project of the Arete Fund ( “arete”, being a Greek word for excellence in all things. ) As I now trace these stones with my fingers, I am reminded of the importance of ever-affirming our collective humanity. Another friend who was there that night is a cancer survivor. She was the most beautiful woman in the room, her short hair growing back again under a felt hat that framed her pretty face. Radiant in an iridescent beaded shawl, it struck me that the one who had come the closest to losing everything was the one who dared to shine the most. 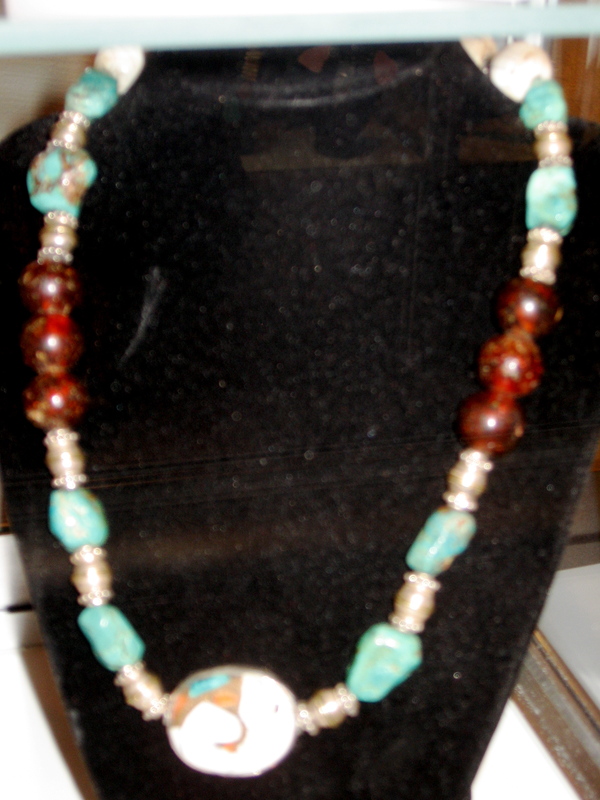 Fully at play in the gallery, I shared her joy as she found a necklace with a strong woman’s figure as an amulet, a pendant from Thailand with a heart carved on the back. Dianne had sat with her during her chemotherapy, so this was a contribution that also simultaneously honored their friendship, a truly heartfelt connection. She asks “How do we find a way to show love in a time of war?” The creation of her figures is a way to claim her passion and fly with her own wings to San Juan Bautista and out into the world again. What might each of us do through creative self-expression to change the life of someone else for the better? 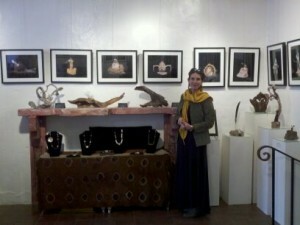 Cultural Journey: Visit the exhibit of the “Journey of Mothers” through April 22, 2012. 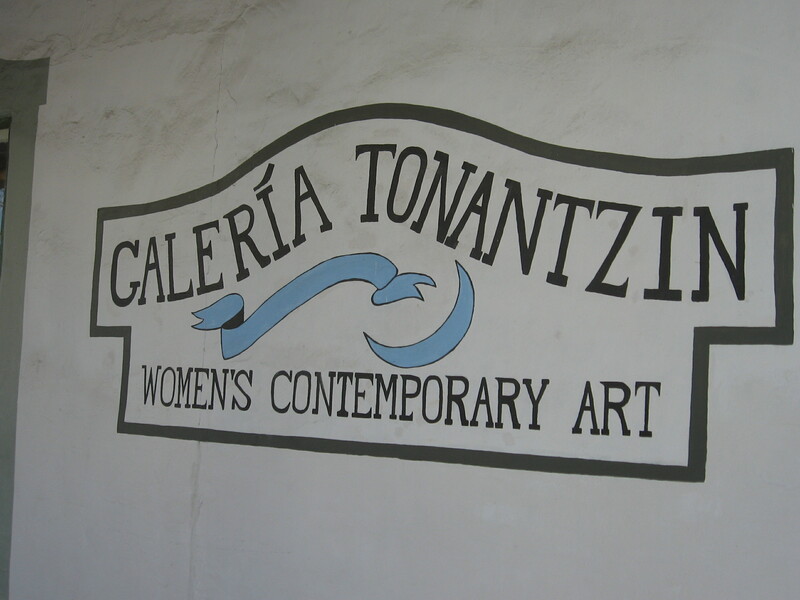 Dianne de Laet will do a special performance at the Galeria Tonantzin, 115 Third Street, in San Juan Bautista on Saturday April 14 from 5 to 7 pm. In an extended celebration of Women’s History Month, she will recite from her poetry in praise of women throughout history accompanied on her concert harp. While visiting the town it is recommended to arrive earlier in the day to see the beautiful chapel and museum at the San Juan Bautista Misson and to walk throughout the historic town. Real nice design and superb subject material, absolutely nothing else we want :D.